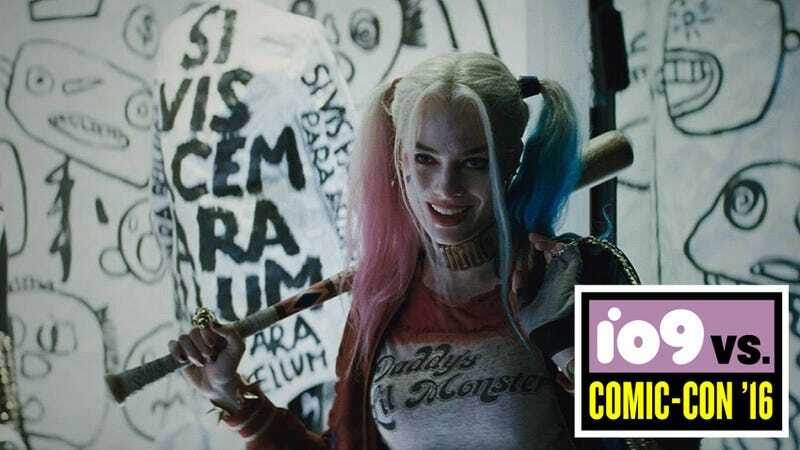 The footage includes a scene of Harley Quinn (Margot Robbie) lovingly “sizing up” her classic getup while finding an outfit for the squad’s titular suiciding. While she does look upon her red and black jumpsuit with sweet affection, she does inevitably go with the short-shorts that have inspired many a cosplayer at this year’s SDCC. We also get a peek at the jumpsuit during a shot at the Joker’s hideaway/trophy room. No word whether that’s before or after Harley gets her hands on it, but I’m hoping it’s before. No way Harley’s going to let Joker keep her wardrobe.